A dental implant is an artificial tooth root that is integrated into a candidate’s jaw bone to hold a replacement tooth or bridge; usually via a screw attachment. They’re an ideal choice for people who have lost a tooth or several teeth due to an injury, disease or another reason. Tooth loss is a serious issue. For one, it can dramatically impact one’s ability to eat. Therefore, nutrition intake and diet become a concern. Tooth loss can not only affect a person’s appearance and cause speech difficulties, but can also be a catalyst for more damage. The gaps generated from missing teeth break the rigid structure that is required to keep all teeth in place. Strain and movement on surrounding teeth can start to occur, which then spreads damage across the entire tooth line, so it’s vital to address missing teeth. 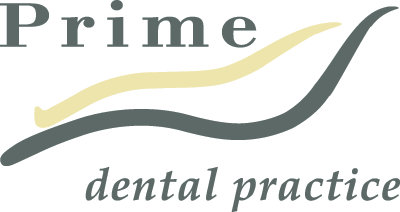 Ultimately, our practice will evaluate whether dental implants are a suitable option for you. Some of the requirements include being in good general health, having healthy gums and adequate jaw bone structure to support the implants; though it’s possible to graft bone from another area such as the chin if you lack sufficient jaw bone. Dental implants offer an array of benefits. They look and feel natural, making it very hard for anyone to tell that you ever lost a tooth in the first place! Unlike dentures, dental implants feel very secure in your mouth. They can support a bridge and eliminate the need for a removable partial denture. They also allow you to eat and smile with comfort and confidence, knowing that they won’t fall out or break when eating and speaking as they’re usually made of titanium.